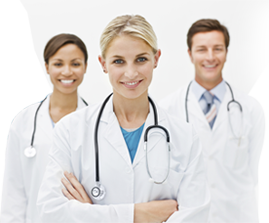 The American College of Gastroenterology (ACG) is a professional organization for clinicians who care for gastroenterology patients. 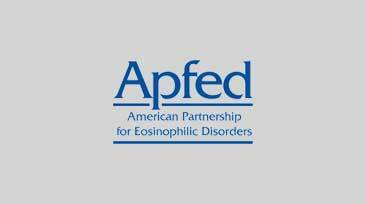 APFED participates in this annual meeting by providing information about eosinophil-associated diseases to attendees, and arming them with resources to help their patients. This year’s meeting featured more than 30 research abstracts and lectures that described study findings or case reports related to eosinophilia. We’ve included just a few highlights below, along with links to find more information. 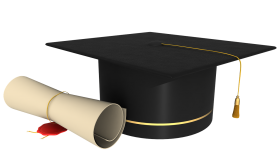 In a poster abstract entitled, “Documenting the Journey of Patients with Eosinophilic Esophagitis and Its Impact on Their Caregivers”, researchers describe results from structured community interviews in which APFED helped recruit participants. Patients with EoE and their caregivers commonly reported the following symptoms prior to an EoE diagnosis: abdominal pain (100%), regurgitation/reflux (64%), avoiding/refusing food (64%), and vomiting (64%). Adults commonly reported pain/difficulty when swallowing food (90%), chest pain (75%), and feeling an obstruction in the throat (75%). The majority of caregivers and adult patients indicated feelings of worry or anxiety, and reported that social activities were affected by EoE. 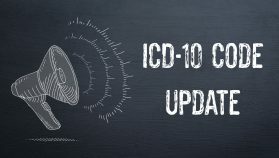 Researchers at Northwestern University Feinberg School of Medicine in Chicago presented a poster outlining their retrospective chart review for adults with EoE who had undergone esophageal dilation for their EoE symptoms. The data showed that the average number of dilations per patient was 2.87 ± 2.62 dilations. The results of the center’s experience with esophageal dilation in EoE showed that dilation was a safe procedure and that the majority of strictures in EoE occur in the distal esophagus. The authors speculate that factors such as gastroesophageal reflux may influence stricture formation in EoE. A list of all poster abstracts presented at ACG this year can be found online at https://bit.ly/2QB7FUf. Use the keyword search box to help you navigate the research terms that interest you.